Vacuum Packed, Maximum Potency Formula. An effective broad spectrum digestive enzyme complex derived from plant sources which is designed to digest all the elements of foods – carbohydrates, fats and proteins – leading to more efficient digestion and absorption. 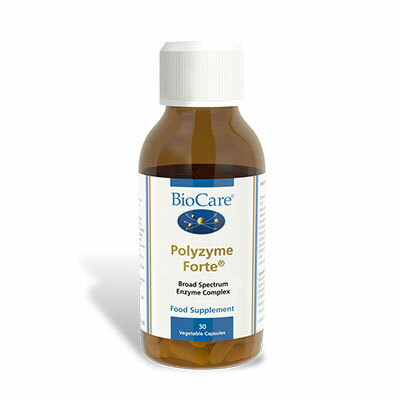 Per capsule, Polyzyme Forte is two to three times more potent than many animal based enzyme products. Free of yeast, sugars, mannitol, sorbitol, polysorbates, rice maltodextrins, citrus bioflavanoids, lactose, artificial preservatives, artificial colours, citrus pectin. 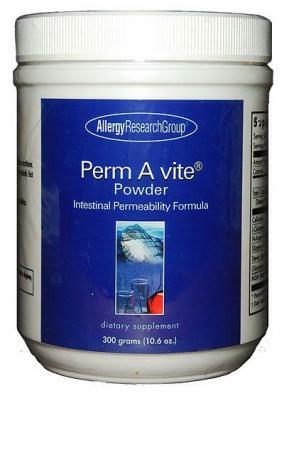 Free of talc, soy lecithin, peanuts, corn flour, gluten, soy flour, rice flour, alfalfa. Product Information per Daily Intake: Bromelain 153mg (providing 3600 gelatin digesting units (GDU's)) Lipase 39mg (providing 2100 lipase units (LU's)) Protease 18mg (providing 50.4 casein protease units (CPU's)) Amylase 15mg (providing 9000 amylase units (AU's)) Cellulase 13.5mg (providing 90 cellulase units (CU's)) Lactase 9mg (providing 1950 lactase units) Lactobacillus acidophilus 9mg (providing approx 630 million cells) Maltase 4.5mg (providing 3.6 amyloglucosidase units (AGU's)) Sucrase 3mg (providing 450 invertase units (IU's)) Ingredients: Potato Maltodextrin, Capsule Shell (Hydroxypropyl methylcellulose), Bromelain,, Bulking Agent (Cellulose), Lipase, Protease, Amylase, Cellulase,, Anti-caking Agent (Magnesium Stearate), Lactase, Lactobacillus, acidophilus, Maltase, Sucrase. 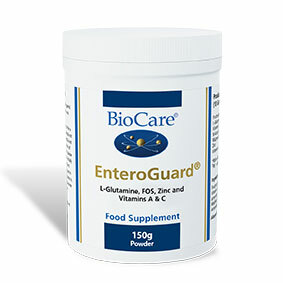 Not suitable for individuals with colitis, gastritis or or ulcerative conditions of the stomach or colon.